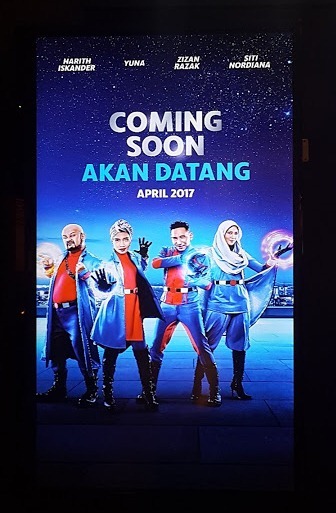 Remember when we thought Yuna, Harith Iskander, Zizan Razak and Siti Nordiana might be appearing in a superhero film? Well, turns out it is just an advertisement for the Japanese uncarbonated soft drink brand, Calpis. “I finally get to share this! My first time in a superhero costume on screen! Had so much fun working on it and loved my character!,” Yuna shared on her social media pages. 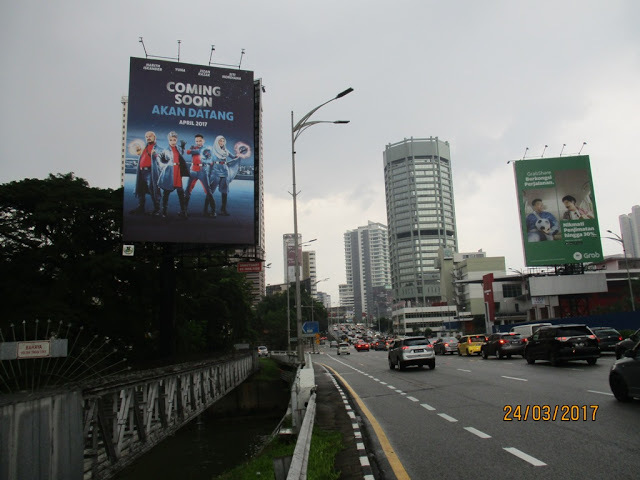 When a short clip showing the four stars clad in superhero costumes first surfaced on the internet, there had been speculations that they may be starring in a secret movie as there has been huge billboards all around Klang Valley featuring the four as superheroes with the headline, “Coming Soon, April 2017”. We kind of knew that from the clip that it wouldn’t be a movie (our guess was it would have most probably been a music video), but the original uploader of the clip captioned the video in such a way to get everyone thinking twice. 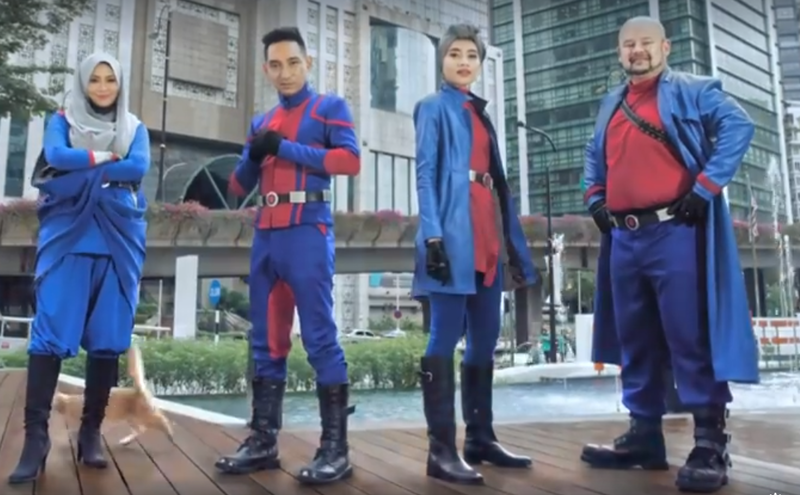 Though it was only an ad, we have to admit that the one-minute long video was pretty cool as it features Yuna, Zizan Harith and Siti Nordiana, each representing different flavours – Yuna and Zizan represent the original flavour, Harith is mango, while Siti Nordiana represents grapes – fighting off an evil villain who comes in the form of a humongous but adorable cat. All of them have various superpowers including self-multiplying, bubble shield, super speed, and bubble beam, and their costumes give off a “Fantastic Four” kind of vibe too. We think that it would be pretty cool if they actually make a film out of this, because Yuna and Siti Nordiana look awesome as the first hijabi superheroines!